Lincoln, Neb. — Nebraska crop producers are joining others across the country in facing potential issues related to dicamba, a herbicide for broadleaf weed control. 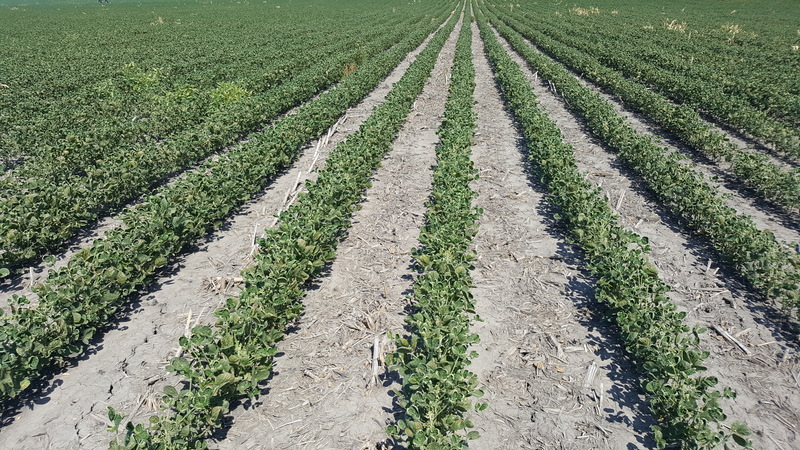 While the product has been available for a number of years, this was the first year that dicamba-tolerant Roundup Ready 2 Xtend soybean and new dicamba-based formulations were made commercially available in Nebraska. An estimated 500,000 acres of dicamba-tolerant soybean were planted this year across the state, but broadleaf crops sensitive to the herbicide are raising concerns for growers. Amit Jhala, Nebraska Extension weed management specialist, has been responding to those concerns. "Several dicamba-sensitive crops are planted in Nebraska, so it's important for producers to be familiar with dicamba injury symptoms," Jhala said. "Some of the soybean fields I have visited this season have had symptoms similar to those caused by dicamba, from one end to the other, suggesting off-target movement through volatility." Symptoms include leaf tip wrinkling and cupping of young leaves with low doses of contamination and puckering and leaf elongation with higher doses. Non-dicamba-tolerant soybean, grape, tomato, watermelon, pumpkin and several minor vegetable crops are all dicamba sensitive. Issues arise when there is off-target movement of the herbicide through physical drift, volatility, temperature inversion or tank contamination. Producers in Arkansas, Missouri, Kansas, Iowa, Indiana, Illinois, Tennessee and Mississippi also have reported significant potential dicamba damage. "Once dicamba injury symptoms are identified, the first thing the grower should do is scout the field to get a sense of the damage," Jhala said. "It's also important at that time to start communication with your neighbors and pesticide applicators." Local extension offices can serve as timely resources during the process, Jhala said. Extension educators are in constant communication with producers, so they will have a sense of how widespread the issue may be. Growers who wish to file a complaint should contact the Nebraska Department of Agriculture. For updates on dicamba contamination, as well as Nebraska Extension information on crop production and pest management, visit http://cropwatch.unl.edu.